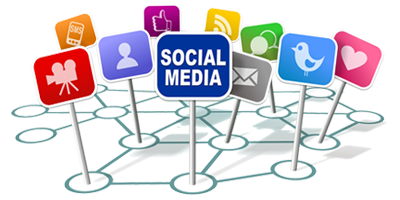 It is so quick, easy and convenient to convey a message on social media platforms such as Facebook, Twitter, LinkedIn, Instagram etc. Despite the convenience and satisfaction of typing and then posting a rant, it is recommended to pause and consider the circumstances of these actions. The leading risk is potential defamation. it must be injurious to your reputation. Defamation arising from the use of social media has led to numerous cases locally and internationally. In 2012, a South African court issued an interdict when the sale of church premises led to a Facebook campaign wherein the Dutch Reform Church was associated with Judas Iscariot selling out for 30 pieces of silver. The court held that this was harmful and injurious. In the ground breaking case of Herholdt v Wills, the court relied on constitutional rights in coming to the decision that a post on social media was defamatory. The court relied on the right to privacy and the right to freedom of expression and held that the founders of the Constitution could not have foreseen the tensions that social media would create for these rights. Being mindful of the conflicting nature of these rights, the court had to conduct a balancing act between the right to privacy and the right to freedom of expression. The fact that the published statement may be true is not a defence. This does not mean that one is not allowed to voice opinions and make defamatory statements, it is required for the statement to be both true and to the benefit of the public. Sensational gossip is not protected by law. In light of the court’s obligation to develop the common law in terms of the Constitution, the court held that “the tensions between every human being’s constitutionally enshrined rights to freedom of expression and dignitas is all about balance.” A mandatory interdict was granted and the posts had to be removed from all social media platforms. In the case of Isparta v Richter the court held that merely repeating or sharing a defamatory post is sufficient to constitute defamation, and that a person may be equally liable for another person’s posts where a person knows that they have been tagged in another’s post, and they allow their name to be used, and fail to take steps to disassociate themselves from the defamatory post. The recourse to defamatory statements is to send a letter to the person/company making the defamatory statements and to ask the person/company for an undertaking to stop making these statements, request an apology, and/or a retraction of the statement/s in order to correct and cure the harm done. Alternatively, one could sue for defamation depending on the nature of the defamatory statement. Defamatory statements may have a serious impact on individuals and companies. Having regard to freedom of expression in an open and democratic society, we should also be mindful of the consequences of publishing an opinion. We have instant access to platforms to voice our opinions and it is therefore crucial for everyone to know what may be regarded as defamatory before clicking the post or share button. With great power comes great responsibility ~ Voltaire.